PDC Machines designs basic to fully instrumented oil free reciprocating compression systems in accordance with customer specifications. Compressors range in size from 3 hp(2 kW) to 250 hp(186 kW). Discharge pressures range from 50 psi to as high as 60,000 psi (4,100 bar). Two-stage compressor for HCL service. This compressor is rated for Zone IIC Exd and in compliance with Korean Gas Law. Process Piping & Vessels nitric acid passivated, 100% Welded and Radiographed, and cleaned to < 6mg. Produces flow of 1100NM^3/hr. Instrumentation includes transmitters, suction and discharge pulsation dampeners, and isolation valves. Controlled by redundant Siemens PLCs. 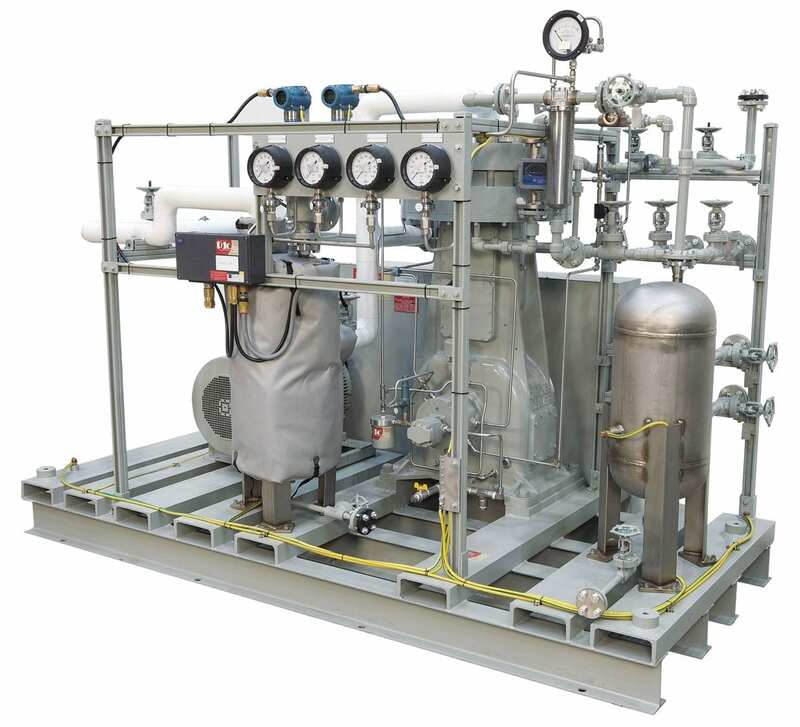 A single stage diaphragm compressor for compressing hydrocarbon gas mixture. Boosting pressures up to 500 psi (34 barg), flow rate 1,600 Nm3/hr and power is 60 hp (45 kW). This compressor was installed in Qatar and meets European codes and standards. Single stage diaphragm compressor installed in Thailand in a chemical plant for recycling specialty gases. Contamination-free compression – Triple diaphragm construction and elastomeric seals isolate process gas from hydraulic oil. 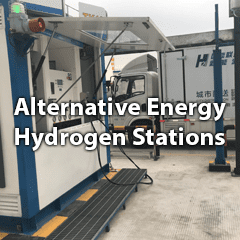 The quality of gas entering and exiting the compressor are the same. 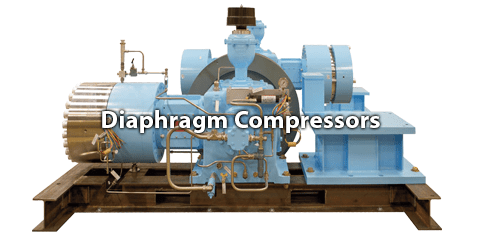 Superior diaphragm life – All aspects of diaphragm compressor design are intended to enhance component life, improve operability and reduce and simplify maintenance. Diaphragm cavity contours, which control stress in the diaphragms, are carefully controlled to provide uniform stress distribution. These cavity contours are computer engineered utilizing Finite Element Analysis techniques, which results in our state-of the-art design. Special manufacturing processing is used on the diaphragm surfaces to enhance fatigue life. 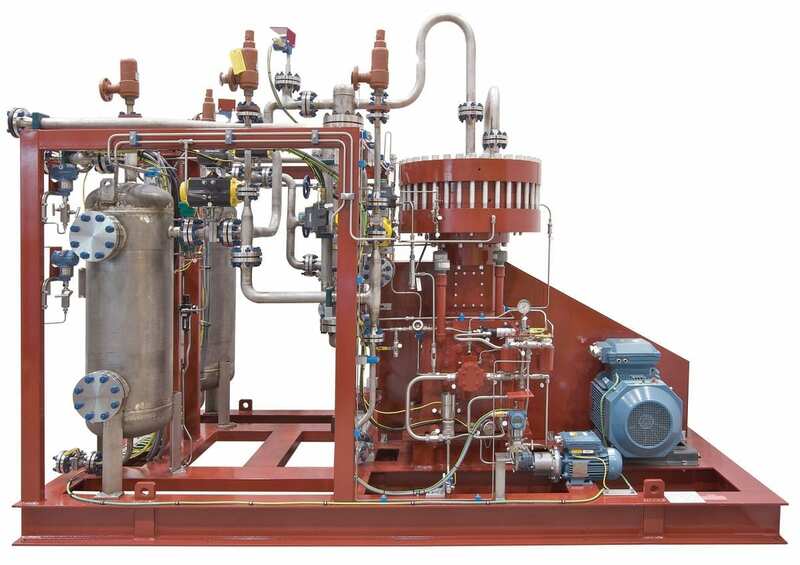 Unique oil distribution system – The hydraulic system is designed in such a way as to assure uniform diaphragm deflection, prevent knocks, vibration, cavitation and yield smooth, quiet compressor operation. 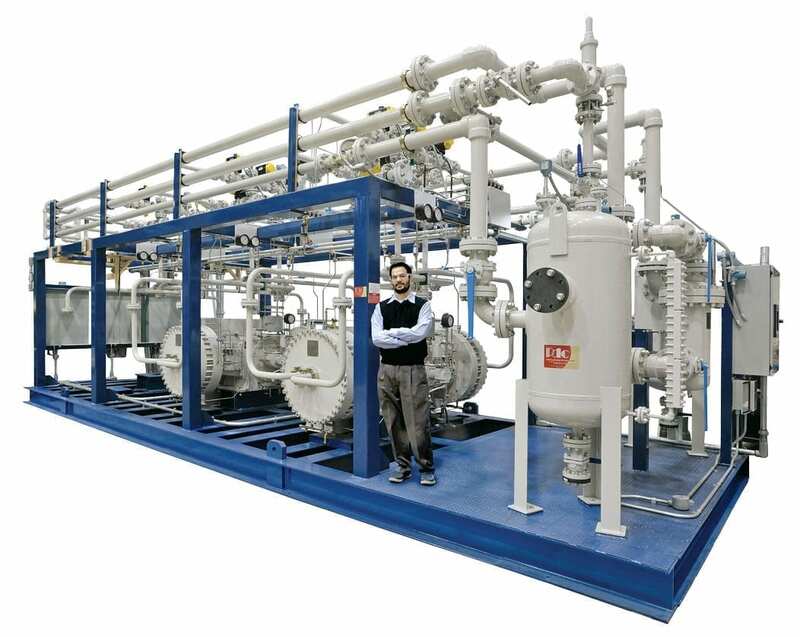 Unique, oil distribution techniques are employed to eliminate pressure differentials and gradients.The system utilizes an automatic priming pump, positive displacement high-pressure injection pump and oil relief valve with bypass valve for easy, smooth starting and rapid restart. Environmentally safe – Our crank-cases do not need to be purged or vented. Therefore, there is no leakage of gas into the atmosphere. Safety interlocks – Features include alarms and shutdowns for low suction, high discharge, low oil, low coolant, diaphragm and or o-ring failure. The compressor will be completely instrumented for safe and automatic operation. Soft, high-strength for check valves – Reduce leakage, improve efficiency, extend equipment life, and reduce noise levels.Below 85 dBA @ 1 meter – Extremely low noise level eliminate the need for sound proofing enclosure. 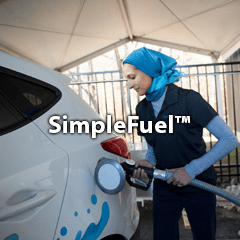 Duplex and two-stage diaphragm compressors are horizontally opposed designs for optimal power consumption, yielding economical kilogram per kilowatt (kg/kW) product output ratios. Duplex and two-stage designs are available to accommodate a wide range of pressures and flows in one or two stages instead of multiple stages. 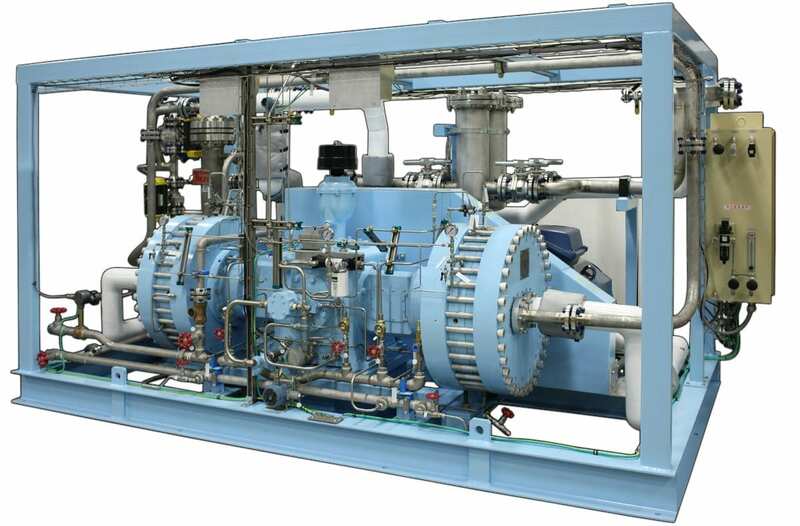 Duplex and two-stage designs handle high inlet pressures without the need for regulators, saving energy and optimizing costs. Duplex units provide twice the flow and 1/3 the horse-power consumption. High compression ratio per stage when compared to reciprocating compressors lowers spare parts utilization and cost. Internal cooling removes heat of compression and improves efficiency.